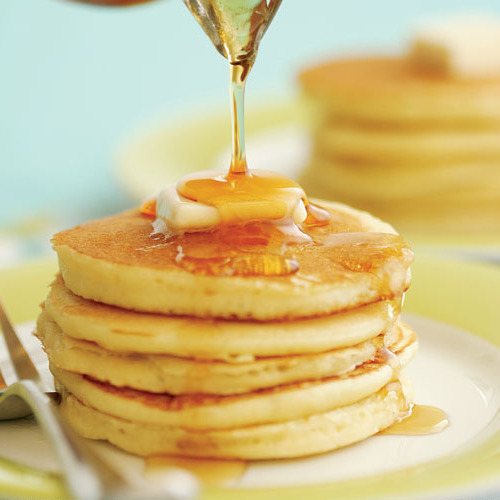 If you want pancakes that rise and rise and rise on the griddle, use buttermilk. 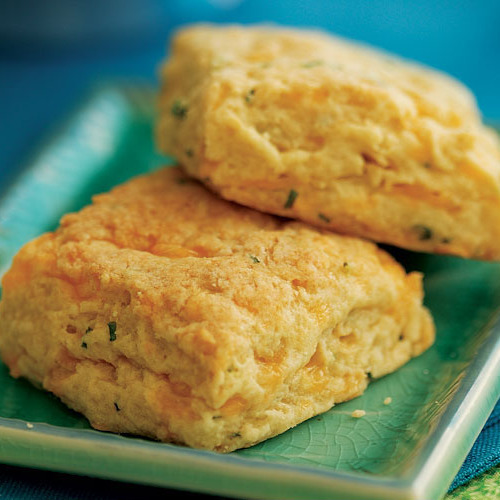 If you want biscuits that are rich and flaky, make them with buttermilk. 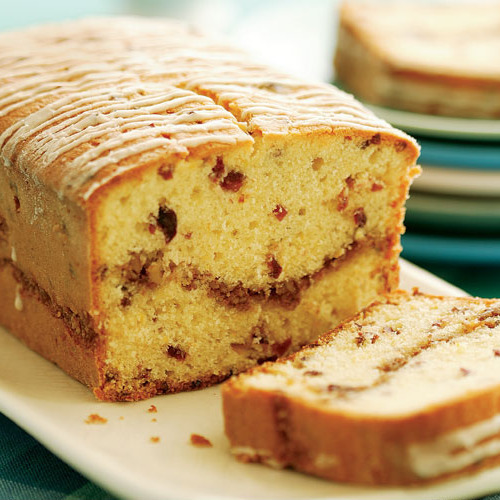 For pound cake with a moist crumb and a tangy edge, choose buttermilk. What’s the one ingredient with an almost magical ability to improve muffins, quick breads, scones, and more? You guessed it: Buttermilk! 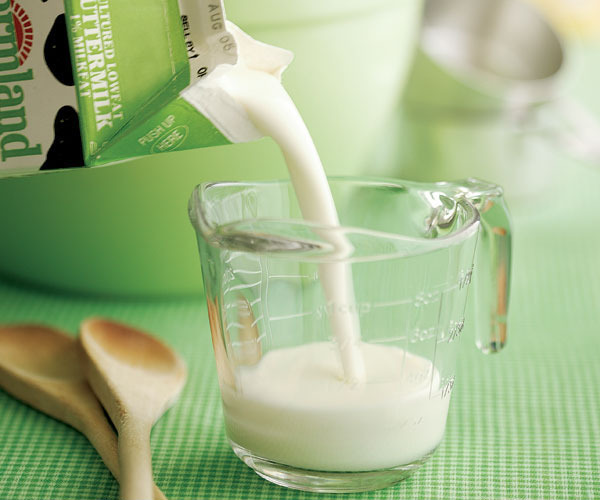 Buttermilk owes its success as a baking ingredient to its acidity. It’s not nearly as sour as lemon juice or vinegar, of course, but the milder lactic acid present in buttermilk makes it a real boon to bakers. A slightly acidic batter helps keep baked goods moist and tender by breaking down long, tough strands of gluten; it also prevents cherries and walnuts from acquiring a blue tinge in muffins. 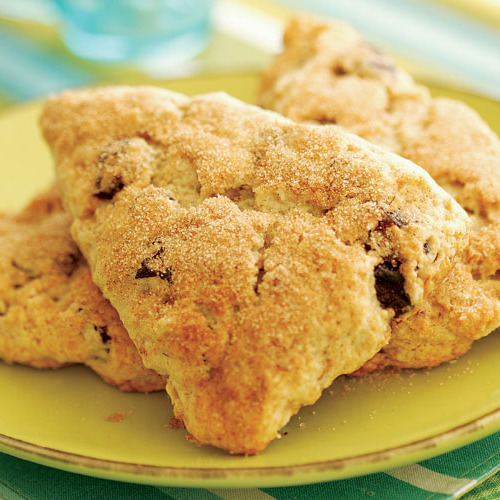 The tartness of buttermilk adds a pleasing, subtle tang to cakes and pastries. And the acid is responsible for buttermilk’s thick consistency, which adds a soft, rich, creamy quality to whatever you’re baking. Although you probably don’t think of it in this way, buttermilk contributes to the leavening of many baked goods. In conjunction with baking soda, buttermilk produces carbon dioxide gas, which is why a stack of pancakes made with buttermilk can tower over those made with milk. In fact, before baking powder was invented, buttermilk was the home cook’s trusty baking companion. Baking soda was the only game in town, and it needed an acidic ingredient to help activate it and balance its flavor. Buttermilk came to the rescue. And it’s still my savior in the kitchen. Having a quart of buttermilk in the fridge allows me to whip together a quick batch of scones whenever the mood strikes. I know that one complaint with this ingredient is having a half-empty carton leftover, but I never have that problem as there are plenty of ways to use it beyond baking. In my family, we even drink it, blended with fresh fruit and sugar, for a quick, tangy smoothie. 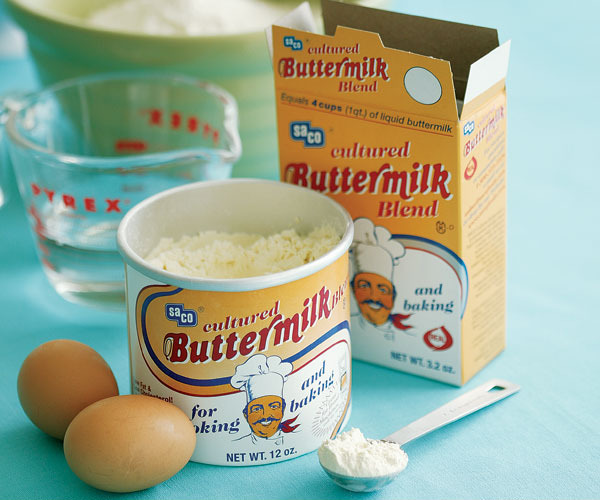 Originally, buttermilk was the milky liquid that remained after churning cream into butter. But the product that we use today is made in a different way, more akin to yogurt. Skim milk or low-fat milk is heated with active cultures (in other words, good bacteria), and these cultures convert some of the sugar in the milk (the lactose) into lactic acid. Under acidic conditions, milk proteins are not as soluble and they precipitate out, causing what’s known as clabbering—an old-fashioned term for the thickening of milk. It’s the lactic acid that causes both tartness and thickness, which are classic characteristics of buttermilk. Powdered buttermilk is an option for baking. Unlike today’s liquid buttermilk, the dried form is actually made from the liquid that’s left after churning butter. This liquid is cultured and the water is evaporated, leaving a dried powder. Many supermarkets carry this product, made by Saco, in the baking section. Powdered buttermilk can’t be reconstituted into liquid buttermilk, but it does work well for baking. Add the powder to the dry ingredients, and add water to the wet ingredients. (The package provides exact proportions.) I give liquid buttermilk an edge over powdered when it comes to the texture and flavor of baked goods, but the dry product does have its place in the baker’s pantry. One big advantage is that it lasts a very long time—up to several years—as long as it’s refrigerated after opening. An easy way to make a quick buttermilk substitute is to add 1 Tbs. white vinegar or lemon juice to 1 cup whole milk and let it stand for 10 minutes. This “sour milk” can pinch-hit for buttermilk in most baked goods. (Don’t try using truly soured milk, which is milk that has spoiled and has an unpleasant flavor.) It will provide the acid for leavening and tenderizing, though the flavor won’t be as tangy or as pleasing as you get with regular buttermilk. Yogurt also works: I’ve used plain low-fat or whole-milk yogurt in recipes when I’ve come up short on buttermilk, and it works fine. 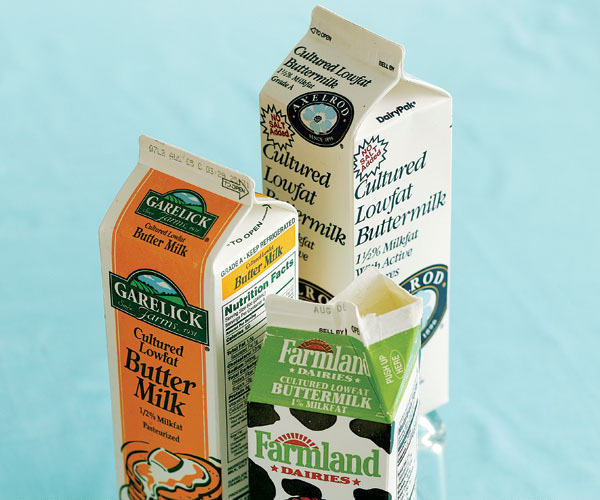 Because of its acidity, which inhibits bacterial growth, buttermilk has good staying power. A fresh carton will last for three or four weeks. You’ll know it has gone bad if the texture is grainy and it smells off. Always shake the carton before using because the milk solids tend to settle. If you have extra buttermilk but don’t plan on using it up in that time, you can freeze it for up to six months. Keep in mind that it will separate when it’s thawed, and even after mixing it, the texture won’t be the same. 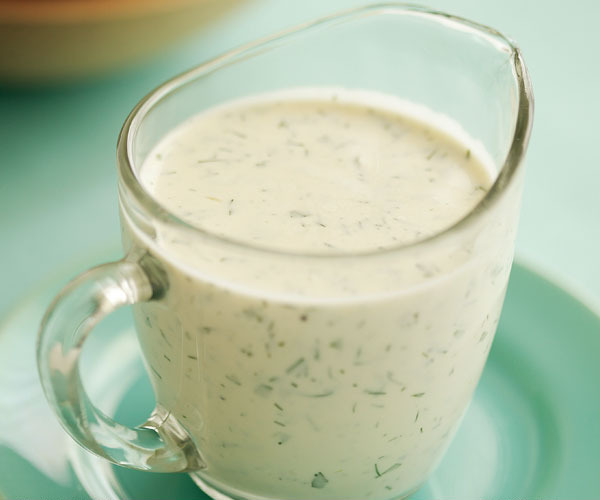 Ranch dressing: Whisk 1 cup buttermilk with 2/3cup mayonnaise, 2 teaspoons Dijon mustard, 1 tsp. minced garlic, and 1 Tbs. each of minced fresh dill, minced fresh parsley, and grated onion. Season to taste with salt and pepper. Mashed potatoes: Substitute buttermilk for regular milk. Vegetable soups: Swirl a little buttermilk into a bowl of puréed soup for a bit of tang. Fried chicken: Soak chicken pieces in butter­milk before coating with breadcrumbs and ­frying. The acidity in buttermilk makes the meat extra tender—and tangy, too. Fruit desserts: Instead of topping a dish of peaches or berries with crème fraîche or whipped cream, try using a little buttermilk mixed with sugar as a low-fat alternative.